If it is the experience of a lifetime you seek, look no further than a scenic tour through the country aboard the legendary tracks of the Empire Builder. Totaling over 2,200 miles in length, this journey shows us glimpses of seven of the northern-most states and the beautiful Pacific Coast. The expedition begins in the heart of the Midwest - Chicago - with a day full of exploration at will. See Navy Pier, or walk along the Magnificent Mile for top-notch shopping. The next morning, board the Empire Builder at Chicago's Union Station and enjoy the train's vast amenities as the journey commences. From the Mississippi River to the Bear Paw Mountains and Glacier National Park, the scenery is unbeatable; take it all in from the train's glass-enclosed Sightseer Lounge. 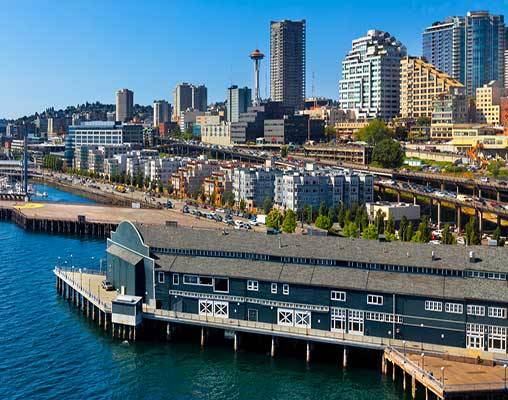 We arrive in Seattle after two days of train travel and enjoy a full day of independent sightseeing through the city's most famous sites. After an overnight in the heart of Downtown Seattle, your tour comes to a close. Begin the Empire Builder Experience with an independent arrival into Chicago. 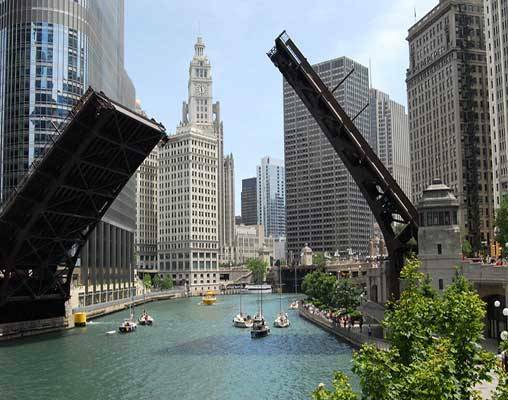 Check-in to your downtown hotel and spend the day exploring all Chicago has to offer. 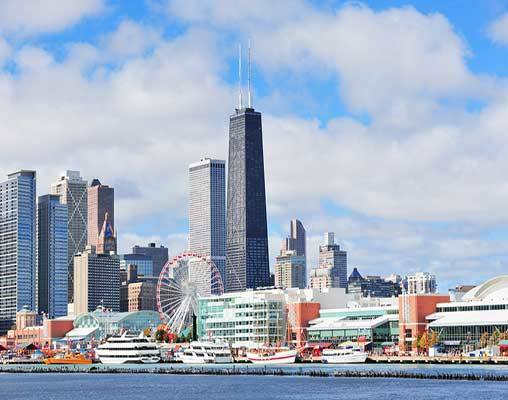 From Navy Pier and the spectacular lakefront to Magnificent Mile shopping, world-class parks and museums, you will wish you had a few more days. Overnight Chicago. Arrive at Union Station for your mid-day departure on Amtrak's Empire Builder. For those passengers with sleeping accommodations, check into Amtrak's first-class Metropolitan Lounge for complimentary beverages and snacks, or take a walk through historic Union Station. Once onboard the legendary Empire Builder, settle into your seat and prepare yourself for the 2300 mile journey through some of the most breathtaking scenery in the country. Enjoy a full-course dinner in the dining car this evening. All meals onboard the train included with your sleeping accommodation. Relax as the train makes its way through the Wisconsin Dells and St. Paul-Minneapolis, Minnesota tonight. Overnight train. As you awake this morning, the train makes its way through the grasslands of the "Northern Prairie State" of North Dakota. Wildlife is in abundance in this area, so be sure to have your camera ready! It is not uncommon to spot bison, elk, prairie dogs, foxes, muskrats, white-tailed deer and bald eagles in this region. Delicious meals are available in the Dining Car, or lighter fare is available in the Sightseer Lounge car. As the train continues on through the day, the landscape gives way to rolling hills, canyons, gorges, and rugged mountain terrain. Relax in the Sightseer Lounge this evening. The floor to ceiling glass windows will ensure that you won't miss any of the spectacular scenery as the train rolls through Glacier National Park. Overnight train. The train is scheduled for a mid-morning arrival in Seattle, Washington. Transfer independently from the rail station to your downtown hotel. Pike Place Market, the Space Needle, and Pioneer Square are steps from your doorway. Explore the thriving music and theater scene, vibrant galleries, and one-of-a-kind museums or relax with some of the best coffee in the country at one of the hundreds of cafés' and coffee shops! Overnight Seattle. Today ends your Empire Builder Experience. Independent transfer to the airport or rail station. Hotels include the Palmer House Hilton and the Westin. Amtrak accommodations are in Coach class and include a reclining seat with leg rest and access to the Sightseer Lounge car. Amtrak accommodations are available in Coach class, Roomette and Bedroom. Coach accommodations include a reclining seat with leg rest. Roomette accommodations include a private cabin that features two comfortable seats beside a picture window during the day, which converts to an upper and lower berth at night. Bedroom accommodations feature a sofa and chair by day and upper and lower berth by night. Bedroom accommodations also include a sink and self-enclosed toilet and shower. Upgrades to Roomette and Bedroom sleeping accommodations are available for an additional fee and include all meals aboard the train. Click here to view testimonials for Empire Builder Experience - Chicago to Seattle. The trip included all the details necessary for a great experience ... from the hotels to the train trip and travel insurance. Our trip was fun, relaxing and beautiful. The roomette was very good, the staff on the train was excellent, the food exceeded all expectations and the scenery was amazing! We met many great people along the way and the trains ran on time! Enter your details below if you would like to be notified when 2020 dates and prices are available for Empire Builder Experience - Chicago to Seattle. Rail can supply connecting rail from your closest Amtrak Station.